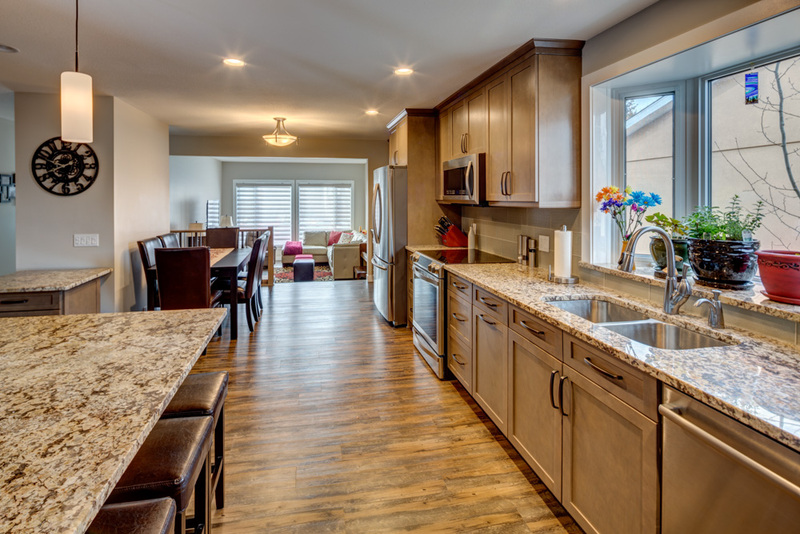 Caruana’s turnkey solutions mean that we look after every aspect of a renovation from start to finish. 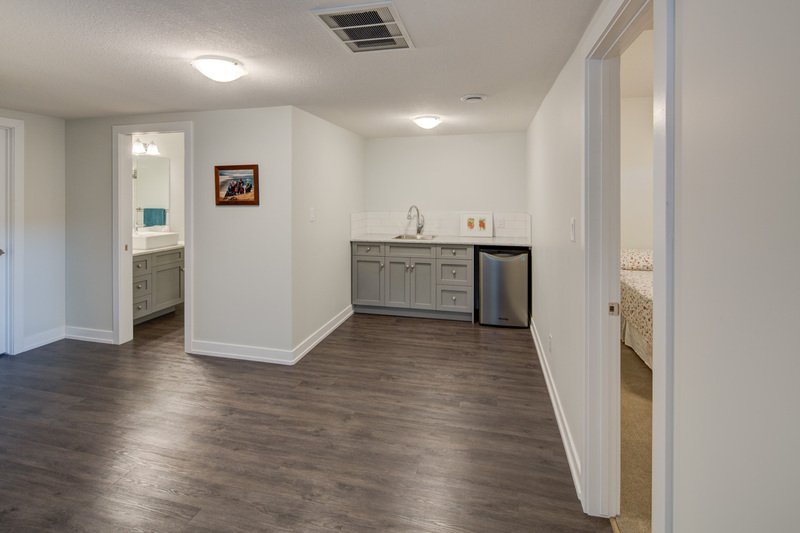 Once a project is completed, we hand you the keys: there’s no need to hire anyone to clean ducts and furnaces, hang artwork or install carpet. 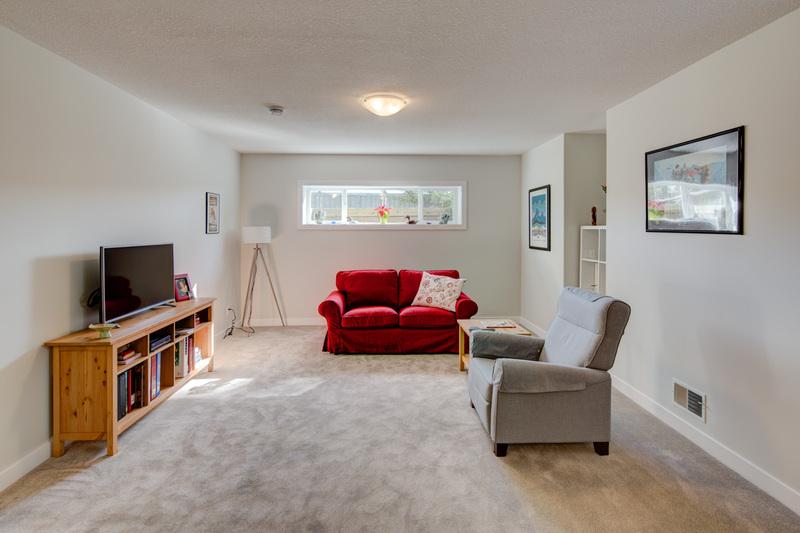 Our design consultants can work with you to choose colours, flooring, furniture, artwork, window coverings—everything that will make your newly renovated area more comfortable. 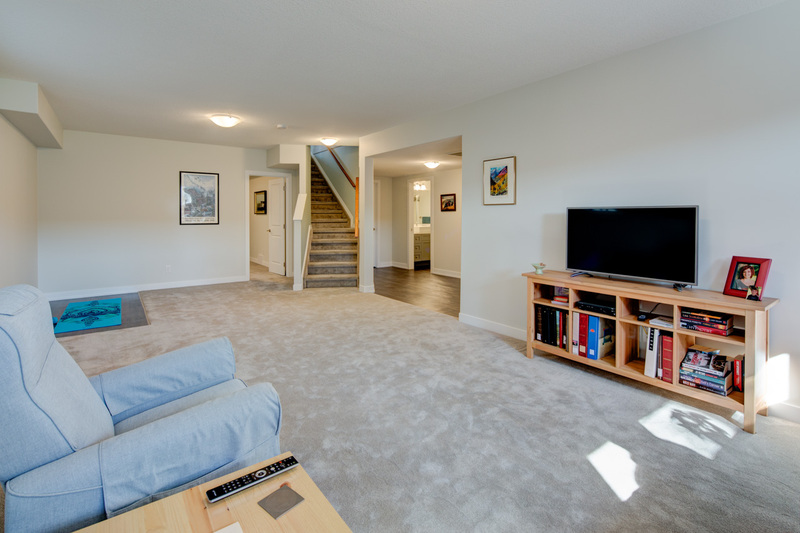 Move in, relax and enjoy your new space—mess and hassle free. 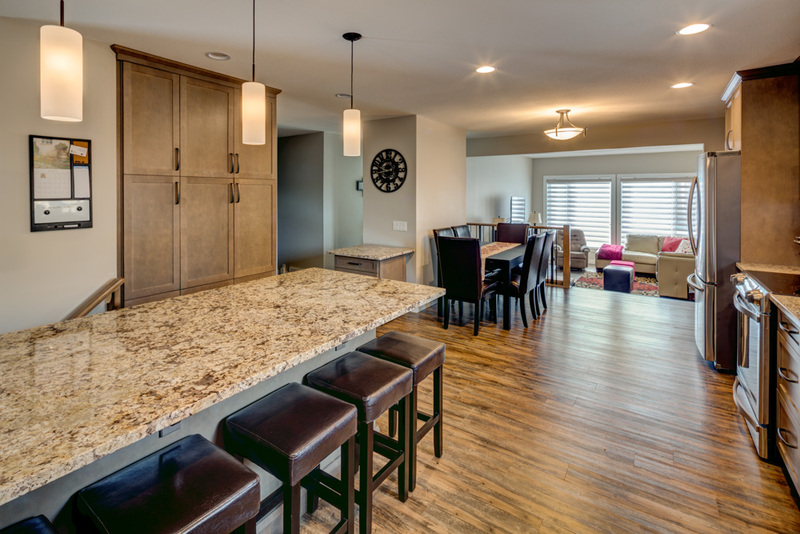 Over time, kitchens, bathrooms and basements can lose their true purpose and become less efficient. They may need a renovation to bring them back to life. 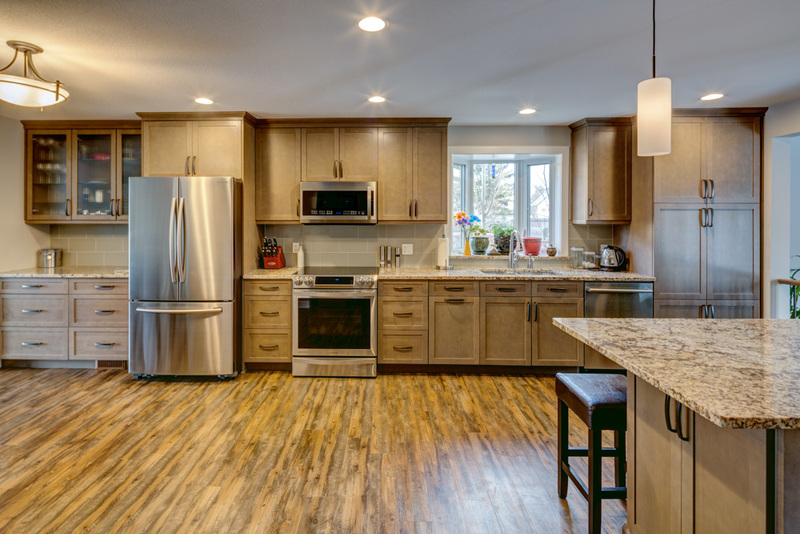 At Caruana Interiors and Contracting, we understand the challenges homeowners often face when left to juggle the various trades and workers involved with a full kitchen renovation. 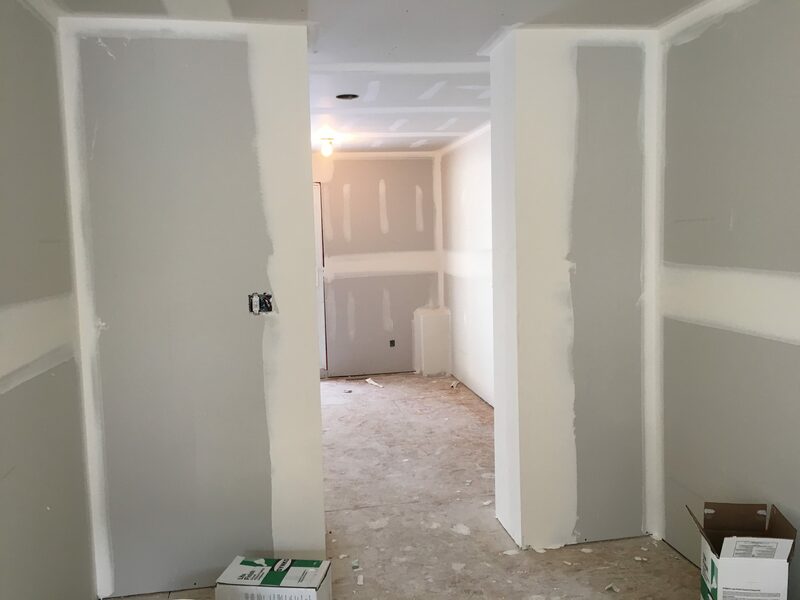 Our experienced team of tradespeople and designers actively involve homeowners in all stages of the kitchen remodelling process—from demolition through building and installation. 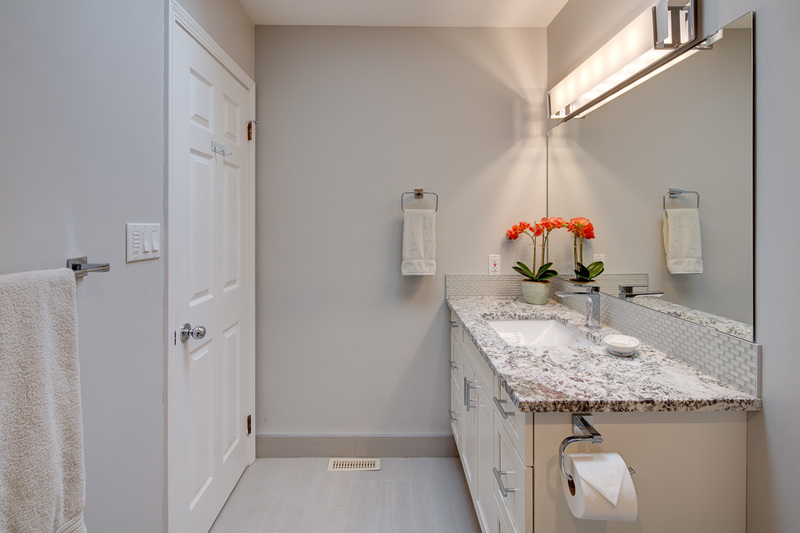 We coordinate every detail of the design and renovation process, including plumbing, electrical and structural. 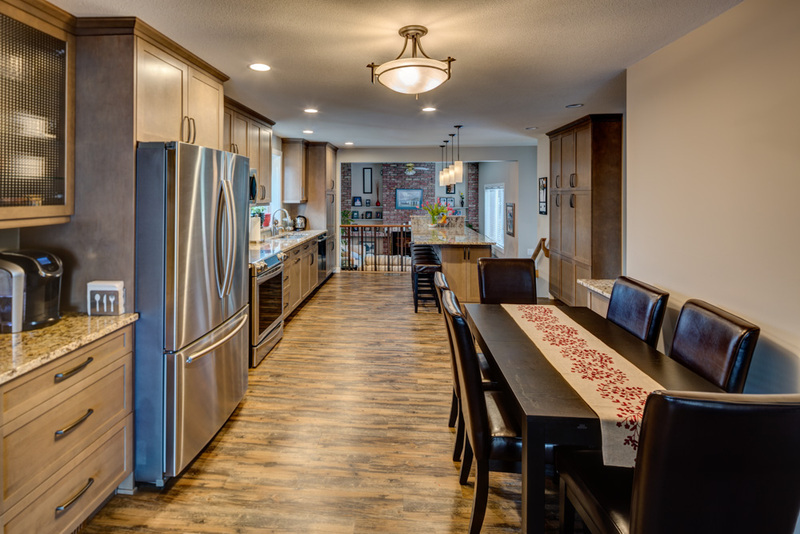 We can even engage our highly skilled, local cabinetmaker to make your cabinets right here in Edmonton. We will help you choose colours, textures and finishes to suit your taste, budget and lifestyle, and we will work with you to bring your dream kitchen to life. Think how much more efficient, convenient and functional the end result will be and how it will add value to your home! Unsure whether a custom, made-to-measure shower enclosure will fit within your home’s layout? Looking to add a rejuvenating spa to an existing space? 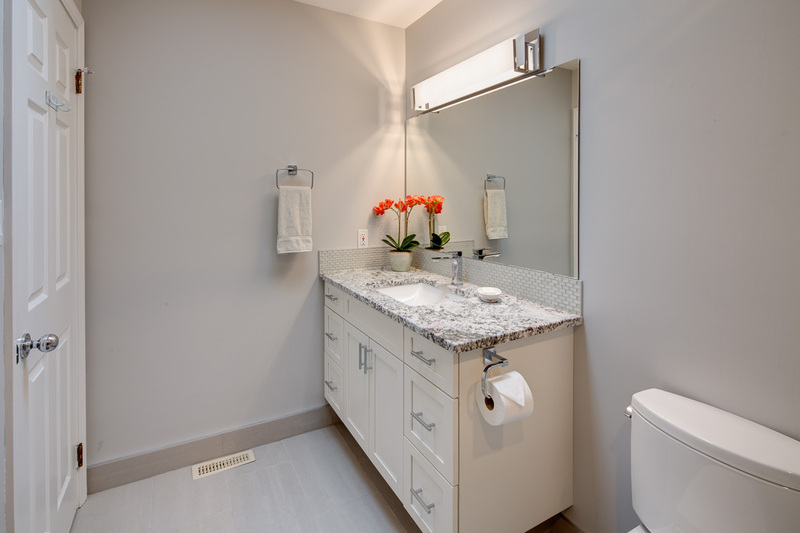 Known for our attention to detail, focus on quality and unsurpassed service, we will work with you to identify what you want and need from your new bathroom space. 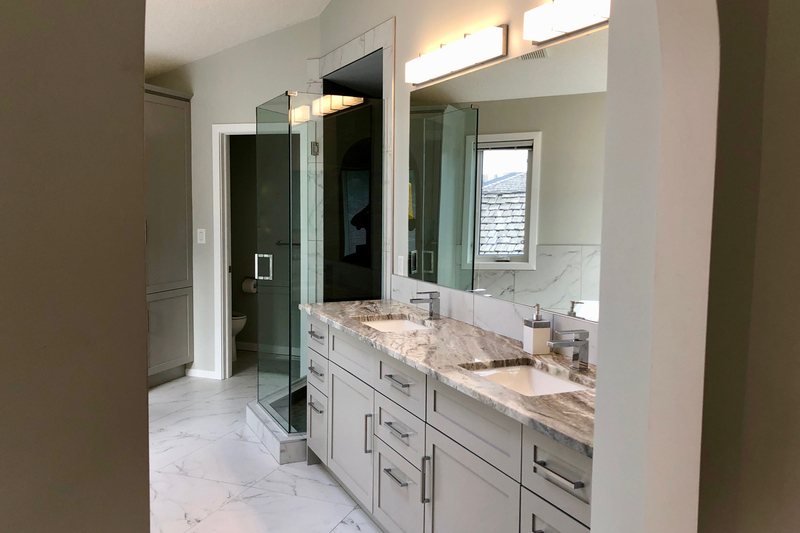 At Caruana Interiors and Contracting, we will coordinate all trades—plumbing, electrical, fixture installation, drywalling and painting—to complete your bathroom renovation. 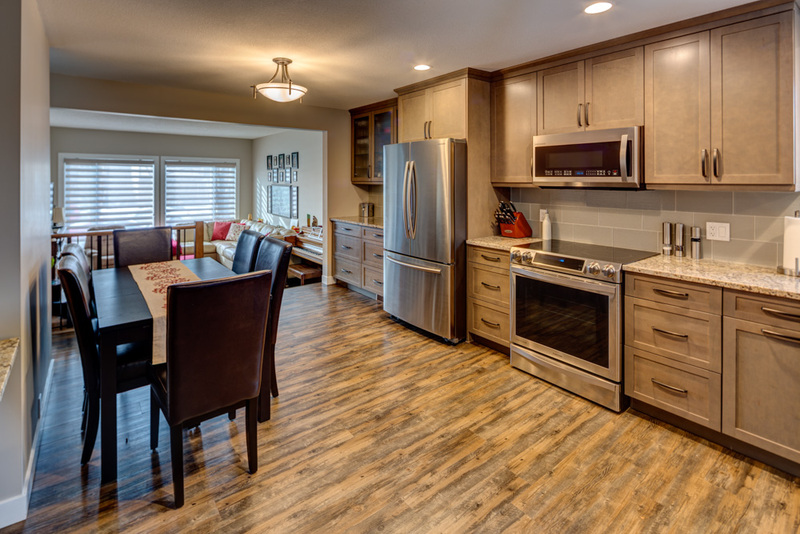 Our Edmonton and St. Albert suppliers offer a range of fixtures to suit every taste and budget. Looking for rental income? 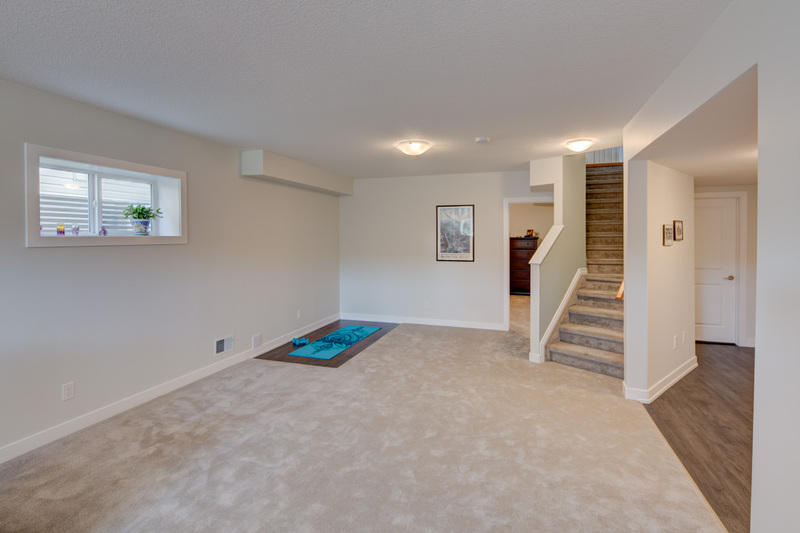 Basement suites and secondary suites over garages can provide a steady revenue stream. 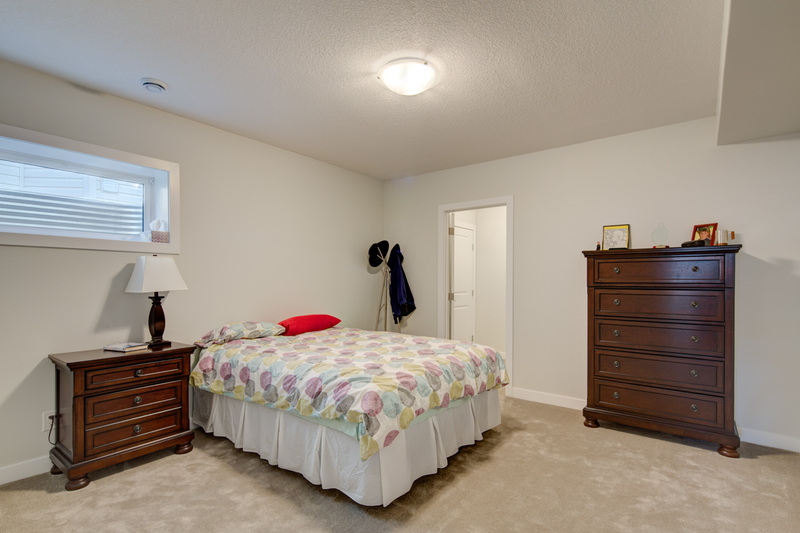 Trust Caruana Interiors and Contracting to help you convert an existing suite into a legally occupiable suite. We understand the safety improvements that must be made in accordance with applicable laws. 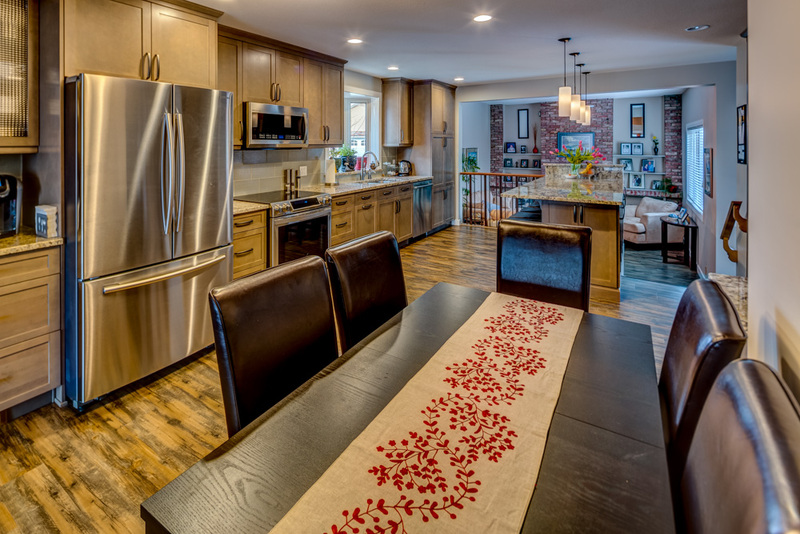 We also have experience with multi-level, multi-occupant renovation projects. All occupiable suites must have a permit. 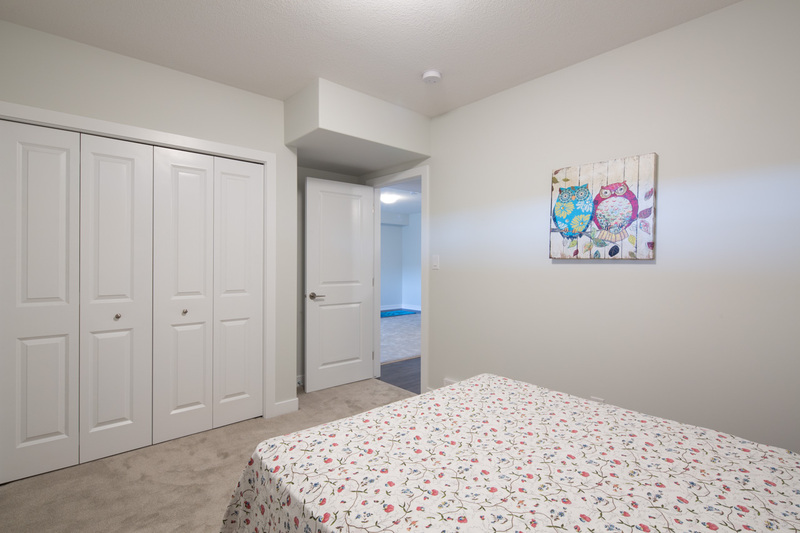 In addition, Alberta law ensures occupants’ safety by requiring fire detection systems, use of fire-retardant building materials between suites and clear means of escape in the event of fire. Look to us to let you know about eligibility criteria and ways you can defray a significant portion of your construction costs. We can advise you about funding programs available through your municipal government. You can dream it. Let us build it. 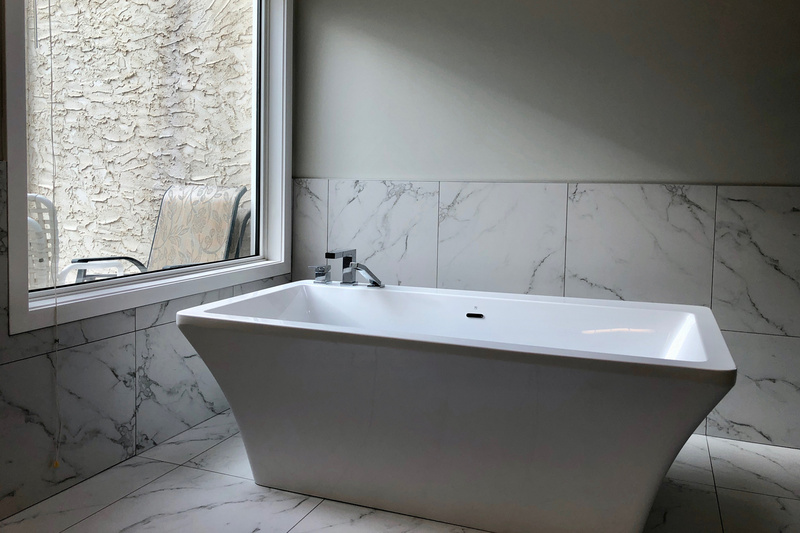 Whether your residential renovation project involves an interior space or your home’s exterior, deck or garage, trust Caruana Interiors and Contracting. Be sure to ask us about additions as well. Construction and demolition, and the addition or material alteration of any building or structure requires a building permit. Businesses are ultimately responsible for complying with all building requirements, including building code standards and zoning restrictions. Failure to secure building permits can result in costly construction delays, legal action and/or the removal of work already completed. In addition, the issuance of a business licence depends on the securing of all required permits. It is really in the business owner’s best interest that we at Caruana ensure we obtain all necessary permits. Homeowners—not contractors—are ultimately responsible for complying with all building requirements, including building code standards and zoning restrictions. Failure to secure building permits can result in costly construction delays, legal action and/or the removal of work already completed. In addition, work completed without permits may not be covered by your insurance policy should it be damaged or cause damage or injury. It is really in the homeowner’s best interest that we at Caruana ensure we obtain all necessary permits. 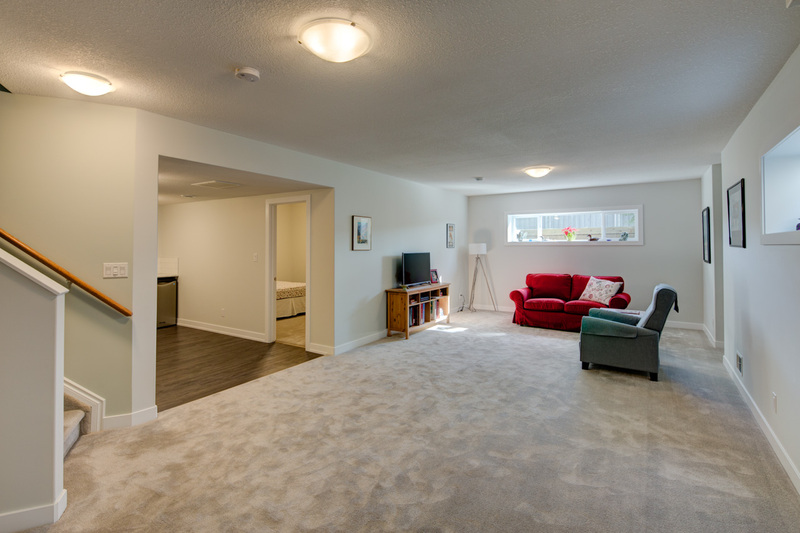 Having served Edmonton and St. Albert landlords for over a decade, we understand their needs and expectations. Visual appeal and small conveniences can mean hundreds of dollars’ difference in the monthly rent they can charge. Looking for an updated look? 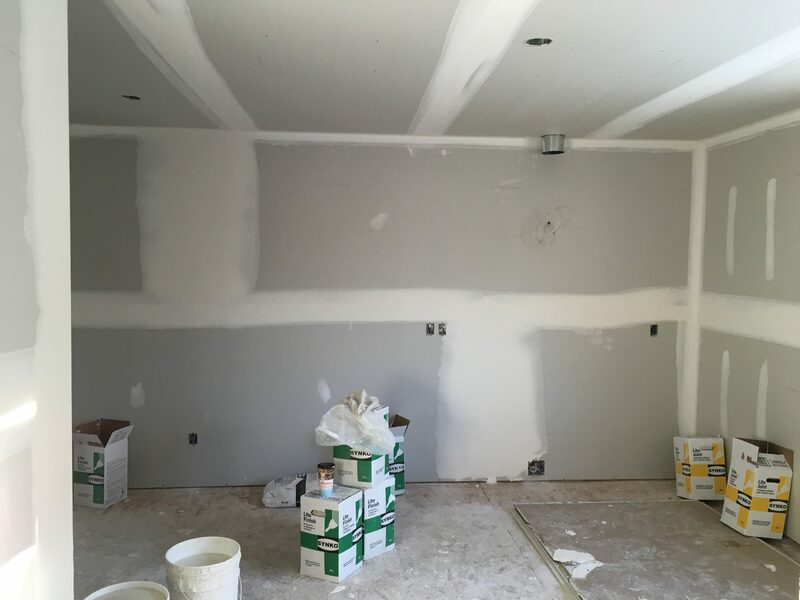 Want a complete renovation to bring your property up to current standards? Remediation contractors will remove water-damaged and burnt materials following a disaster. Responsible for demolition and cleanup, they will remove debris and dispose of waste, but that is often where their work ends. 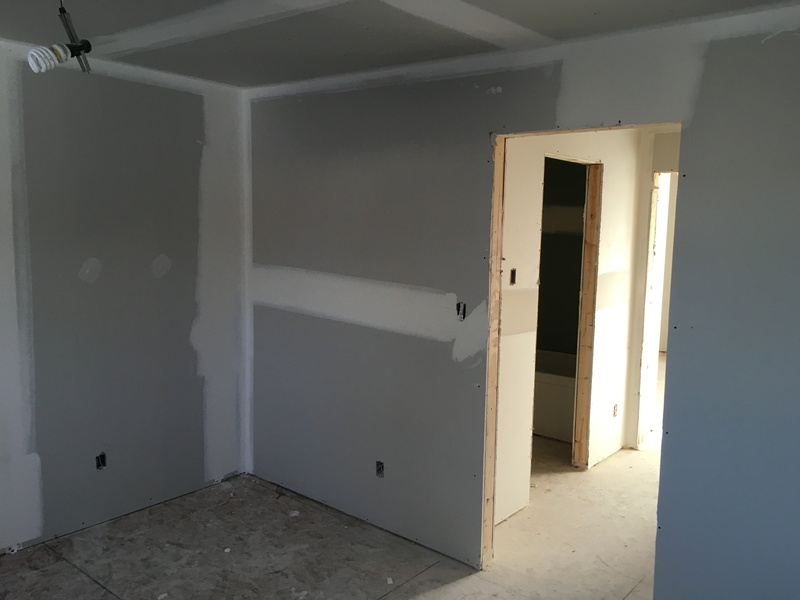 The work of rebuilding and renovation is left to other sub-contractors. Caruana Interiors and Contractors, on the other hand, works directly with you and your insurer to ensure that you have a comfortable space to return to. You are not required to use your insurance-preferred vendor. Instead, you are free to choose a contractor that best meets your needs and budget. 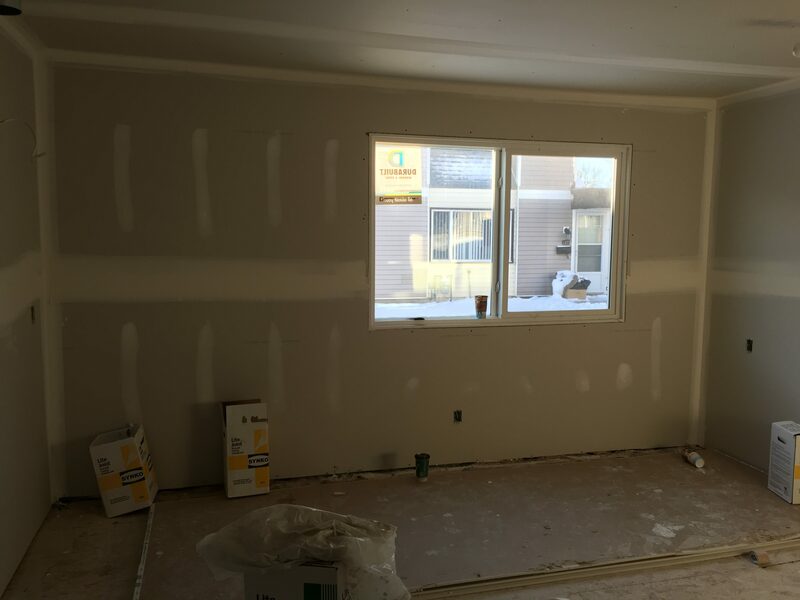 Serving the communities of Morinville, St. Albert and Edmonton since March 2007, Caruana has a proven record of rebuilding spaces damaged by flood, fire, wind or other adverse events. A Caruana representative will visit your property and assess the damage. You’ll then receive an estimate with line items, presented in the manner insurance companies prefer. Your Caruana estimate may be weighed against your insurer’s estimate or against a competitive bid. Your insurer will then determine a dollar figure—what it believes it will cost to restore your property to what it was before the incident or disaster occurred. Caruana Interiors and Contracting can then apply this amount to carry out your desired rebuild or renovation. Disaster has torn your life apart. Trust us to put it back together.